Cross the charming footbridge and follow the sound of gushing water. You will discover the arc shaped waterfall and babbling river. 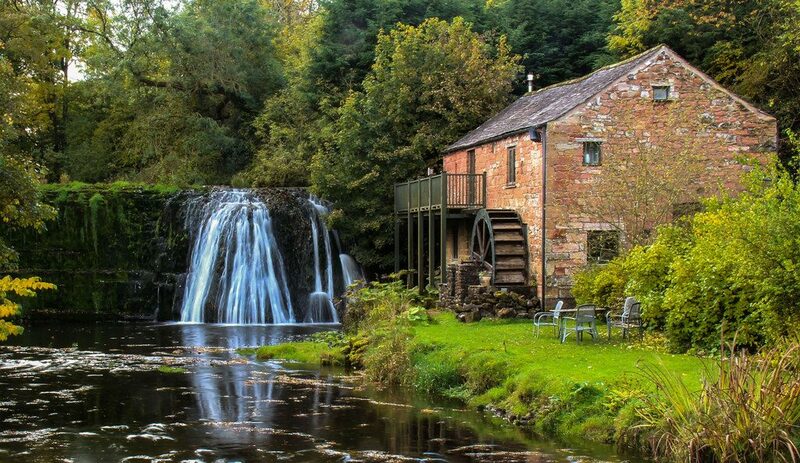 Next to the river is the old mill and waterwheel that looks straight out of a fairytale. Take a paddle in the water with your pets or a picnic by the riverside and skim some pebbles.